Another beach that I'd neglected for a while is Broad Haven South, in south Pembrokeshire. The big feature here is the very distinctive rock, just out to sea, known as Church Rock. From this angle, it is clear to see how it got its name. 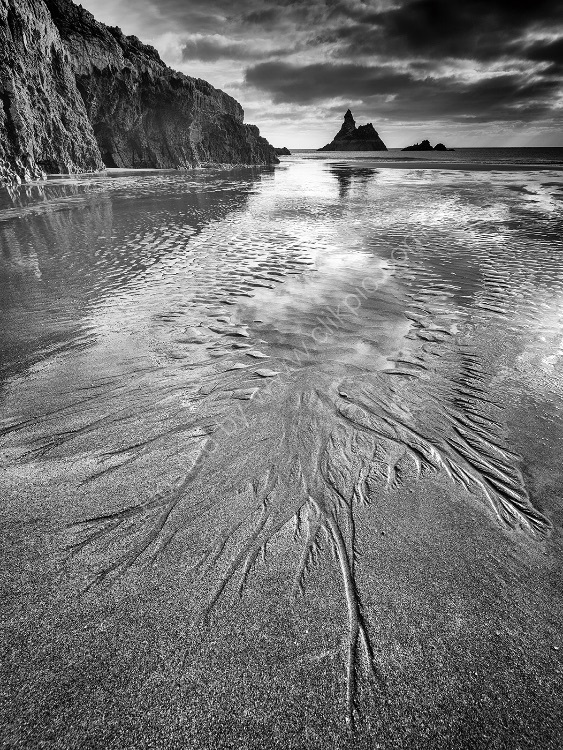 I was attracted to this composition by the tide marks created as the sea had receded, in the soft, wet sand.